People are rewatching Adam Sandler films and finding the Grown Ups star too aggressive. Adam Sandler has been a well known face in the comedy genre for years, taking the lead in movies such as Big Daddy, Happy Gilmore and 50 First Dates. With comedic appearances spanning over two decades, the actor is clearly doing something right to stay in the game. But people are now rewatching his movies and coming to the realisation that Sandler often appears aggressive in his films. Perhaps it’s his gravelly voice that just comes off as aggressive? Or more likely the fact that he finds a reason to yell in most of his movies. 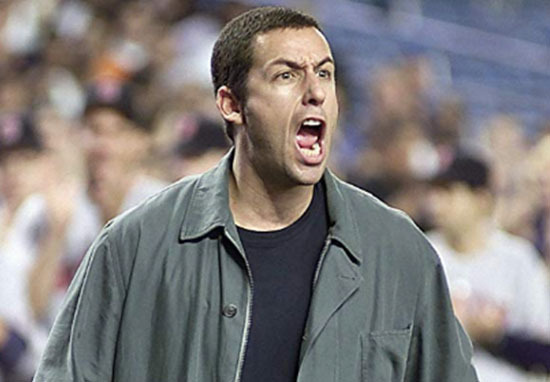 Of course, Sandler may just channel the aggressiveness to certain characters he portrays – and the fact that he often seems aggressive is due to the fact that he often plays very similar characters. In Billy Madison, the blurb describes Sandler’s character as ‘an immature and lazy man’, while in Big Daddy, he is a ‘a lazy law school grad’. 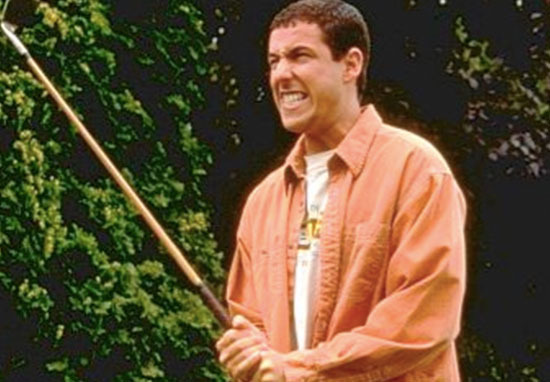 Maybe Sandler thinks aggressiveness and laziness go hand in hand? You’d think he would have learned from his stint in an anger management program in the movie appropriately named Anger Management, but apparently not. People have been sharing their thoughts on social media, with many agreeing that the actor always seems aggressive. I really hate adam sandler. His acting is always way too aggressive. He’s just always angry and blabla. Ah! "we should discuss the philosophy of adam sandler"
"it's nihilism it's just aggressive nothingness"
I really hate adam sandler. His acting is always wayy too aggressive. He's just always angry and blabla. Ah! However, other Sandler fans are sticking up for the actor and arguing that playing an aggressive character is pivotal to the movies he is in. 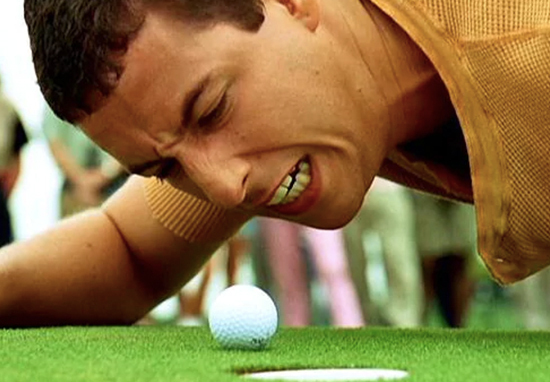 Adam Sandler being too aggressive for the game of golf is literally the plot of Happy Gilmore. I’m confused. In fact, people are so used to seeing Sandler be his usual, hot tempered self that when he appeared on The Graham Norton Show fans were concerned about how chilled out he was. I feel like Adam Sandler would rather be anywhere else but Graham Norton’s couch. So many women. He’s being very quiet. I feel like Adam Sandler would rather be anywhere else but Graham Norton's couch. So many women. He's being very quiet. Whether he’s too aggressive in films or not, with all the movies he’s starred in, it’s obviously working for him!